My older three kids were toilet-trained by the time they were around 3 years old. So imagine my disappointment when Joram cried in fear every time I suggested for him to use the toilet despite turning four soon. I even bought a sticker book to entice him but he refused for the longest period. Thinking that he would be more willing with nice underwear like Jaide, I purchased ones with his favourite robots and vehicles. But nope. It didn't work. 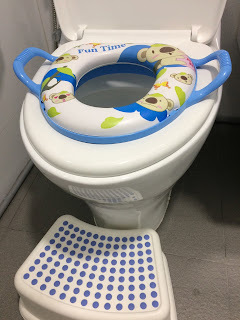 In the past, his sisters did not need the child toilet seat at all so I had long given away the one that his older brother used. To coax him further, I bought a new seat with pictures and colours which he like. He still refused to use the toilet. We can tell that it was an irrational fear which he had to overcome on his own because he had the ability to control his bowel movements for quite some time. There were occasions during bath time when he insisted on wearing his diapers while halfway showering because he felt urgent. He held it in and cried all the way till we finished the bath time and put on his diapers and clothes. He simply refused to go in the shower or in the toilet but preferred to do his business in the familiar comfort of the diaper. As with the older children, I decided to wait till he was ready. Recently, his teachers also started encouraging him to use the urinal too. Because of that, he became more willing to try. I was delirious with excitement when he told me last week that he wanted to wear his underwear the moment he came home from school. 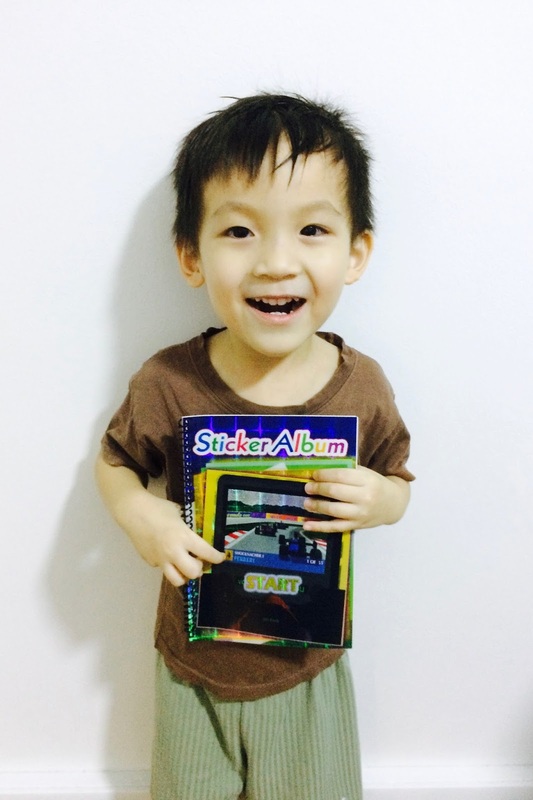 He successfully went toilet to pee and so at the end of the day, I gave him his sticker book as his reward. But alas! He wanted his diapers back the very next day. I was devastated. Regression never happened with my older ones and so I was totally unprepared for this response. Thankfully, my CG mates assured me that it was normal and thus I continued to wait for his readiness. This morning, Joram finally said he wanted to wear his underwear again. He also managed to poop in the toilet bowl for the first time! I'm so glad that he has conquered his fear and reached this milestone. There might still be regressions or accidents from now on but I can definitely look forward to him being diaper-free during the day pretty soon.